Buy and Download > Description Type your description hereHansen Charts' Big Band Gospel Series and Dixieland Gospel Series are fun professionally recorded songs that will keep you simlin'. 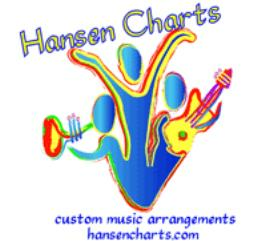 All printed music charts to all recordings are available on line here on payloadz or at www.hansencharts.com. Samples of this recording and others are also available.